Barrel: 416R Stainless steel. Chambered in 6.5 Grendel, with a 1:8 twist, M4 barrel extension, and a carbine-length gas system. 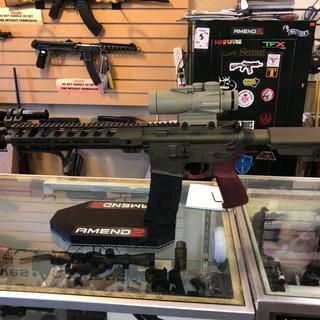 The barrel is finished off with a PSA 10.5" Lightweight M-Lok free float rail, .750 adjustable gas block, and A2 flash hider. What is the overall length of this 12" pistol? If it's over 26" is it still a pistol? Does this need a low shelf or high shelf lower to complete? BEST ANSWER: Any Mill spec lower will work. Most lowers you buy will be high shelf anyways. Low shelfs come into play when your wanting to run (RDIAS) full auto sears. 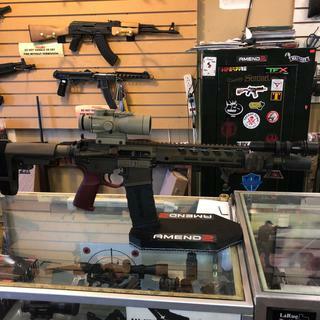 I matched this with an Anderson 5.56 stripped lower. What's the torque specification for the screws that clamp the handguard down? Ar15 lower or ar10 lower? BEST ANSWER: Ar15 lower, that's the beauty of the 6.5 grendel. Flatter shooting then a 308 but used a standard ar lower. 6.5 Grendel uses an AR15 lower. 6.5 Creedmoor uses an AR10 lower. 6.5 Grendel is an ar15 lower. At 15 lower. Works great! How does the shorter barrel affect ballistics does it have significant disadvantages? The shorter barrel brings the subsonic threshold down from 1200 yards to 8-900 yards depending on loading. Still very effective. It takes way less of a hit vs .223. If you're just shooting wolf, that load barely benefits from an 18inch barrel. So, 12inch is fine. Not at all . Far superior to 223 and 300 blk out. Go to alexander arms website. They give ballistics for 12 - 14 inch barrels. Short barrel can easily shot to 300 plus yards , and havr more energy than others near the muzzle when they are shot with short barrels. In my opinion it does to appoint.Where I hunt I very seldom have to shoot over a hundred yards . There’s plenty of energy and speed to take down hogs and deer up to 300 yds. I carry this pistol in my ranch truck. It does on long range shots, but on your 0-200 it's not a big difference that the average shooter will never know. My 10 year old daughter shot her first deer with one at 75yds. I am using mine for hog hunting and have only sighted out to 100 meters. It shoots 1.5 MOA with federal american eagle OTM 120 gr using a ×6 scope. BEST ANSWER: Yes, the round will be supersonic out to 900+ yards out of this barrel length. I do not think 300 yards would be a problem at all. Obviously, you will lose some velocity. Expect velocity at the muzzle to be between 2200-2300 depending on load. At 300 yards velocity will still be around 1800-1900 and 950 or so ft lbs. 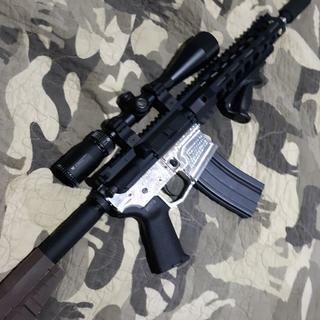 Are the handguard on PSA uppers pinned down or can they easily be swapped out? BEST ANSWER: No there not pinned. There's two bolts you can loosen at the bottom and the handguard slides off. Looking forward to deer season. Shoots very well after break in rounds. I'll be be putting one together for the old lady soon. After break in. 100 yrds over the hood of the truck with the 6.5 grendel pistol. I own several ar pistols in .223 and 300 blackout. This 6.5 grendel pistol makes those obsolete. I love this gun. Its the perfect size. I can't wait to get a 20" upper for long shots. I received my 6.5 Grendel pistol kit very promptly. once build i installed a primary arms 5x acog prism sight. First tim out i was shooting off a couple of sand bags. The 1moa center dit filled most of the center bullseye. once i got the rifle on target, i（never sighted in rifle with scope 2.75 inches above bore）i was good to go. 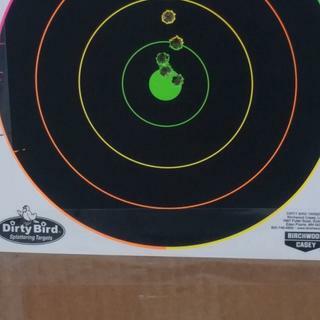 i had several 3 shot groups at 1 inch and a few at 3/4 inch. i believe i might do slightly better, but im happy with just a 12 inch barrel. highly recommended. will try and send some photos. 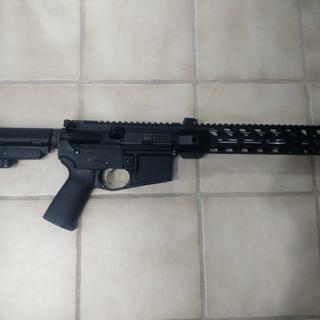 Great Kit for a 6.5 Grendel pistol build. This turned out rather nice for a pistol build and with the cerokote slick coating it has the smoothest out of the box triger pull. granted it is a letter sloppy on the initial pull. But the release is crisp and smooth. Absolutely amazing. 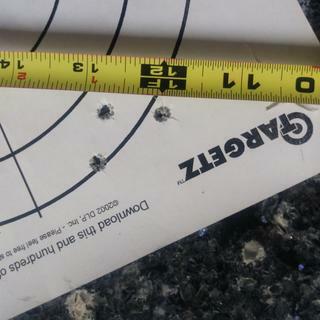 Not quite as accurate as my rifle, but 1” groups are a piece of cake. The SBA3 almost negates to desire for a stamp. Nice , machining is great, nice and lightweight. Made my daughters day by using it to take her first white tail. Stainless steel, and raw receiver. Gorgeous.